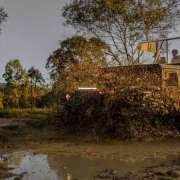 The Night Tour will take you from your accommodation in Cairns to a rugged untouched bushland on the outskirts of Kuranda, settled under the huge mango tree by the camp fire. 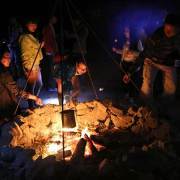 Try some BBQ kangaroo sausages, roast some marshmallows, enjoy the Aussie outback life style with some Billy Tea. 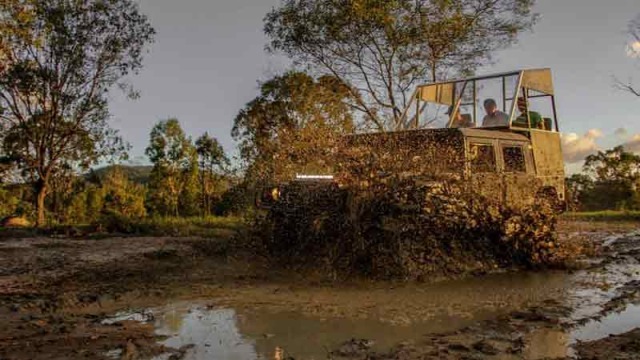 Pick up and transfer to the Hummer site (cattle farm) in Kuranda. There you will arrive in the rugged untouched bushland on the outskirts of Kuranda and settle in for a BBQ by the Camp Fire. 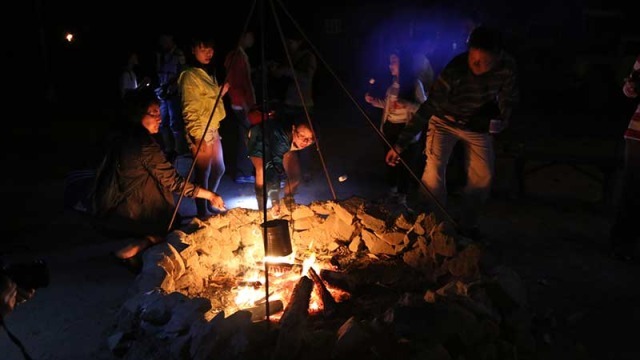 Try some BBQ Kangaroo Sausages, roast some marshmallows, share stories and enjoy the Aussie outback life style with some Billy Tea. The adventure begins: boarding the almighty American Military H1 Hummer. 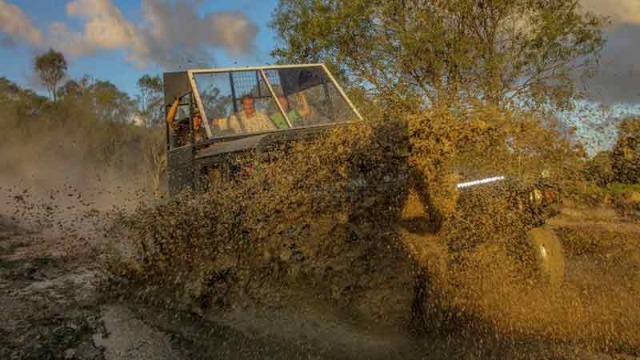 You are rushed into the rainforest, crossing the creek while experiencing the strength of this high performance, off road, all-terrain vehicle driven by your experienced driver / guide. After the Hummer tour, we then travel through the Tablelands to Granite Gorge. Here we are met by the ever friendly little Wallaby, the smallest species of kangaroo-Rock Wallaby in Australia. 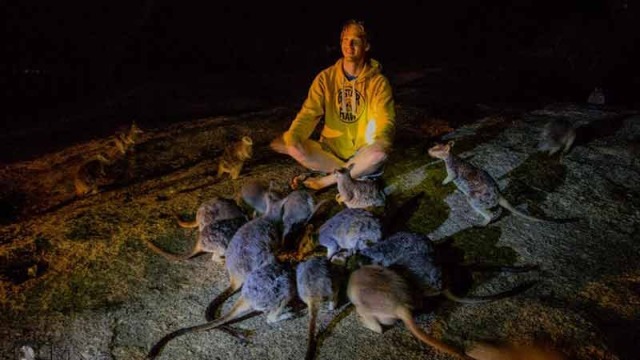 The wallabies are so friendly they will eat out of your hands! (Food is provided.) If you are lucky you may even see the Wallaby mother with a small Joey in her pouch. Star gaze and explore the skies, including the famous Southern Cross.